Russia has delivered over half of the agreed number of S-300 air defense systems to Iran, Russian presidential aide Vladimir Kozhin told Sputnik on Tuesday. 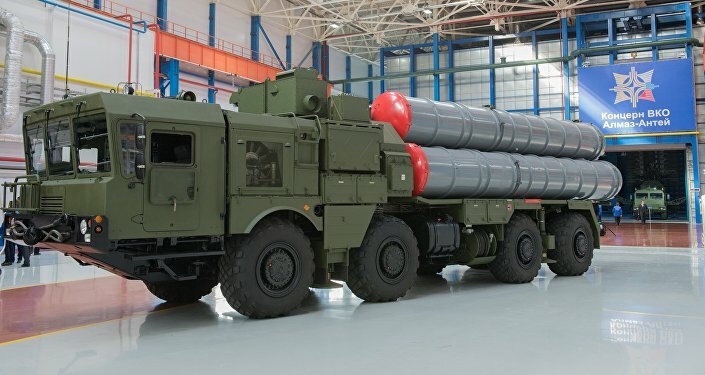 KUBINKA (Sputnik) — In August, Iranian Defense Minister Hossein Dehghan said that Tehran was expecting Moscow to fulfill its commitments on the deliveries of S-300 air defense systems within September, adding that the main part of the batch had arrived in Iran. "We have delivered half already, even more," Kozhin said. The $800-million Moscow-Tehran contract to deliver Russian-made S-300 air defense systems to Iran was signed in 2007. In 2011, Iran sued Russia in the Geneva Arbitration Court after Moscow suspended the contract in 2010, citing a UN Security Council resolution that placed an arms embargo on Tehran. Russian President Vladimir Putin lifted the S-300 delivery ban in April 2015, shortly after the P5+1 group of international negotiators and Iran reached a framework nuclear agreement to remove all economic sanctions against Tehran in exchange for its pledge to ensure that all nuclear research in the country should serve exclusively peaceful purposes.